The Minho region is famed for its culinary traditions and Braga is a veritable showcase of the very best flavours from land and sea. The local cuisine is a fusion of fresh fish and seafood from the waters of the eastern Atlantic, visible from the hills that rise above the ancient city of Braga, Portugal, and the hearty flavours of the lush green landscape that surrounds the area. There are restaurants in Braga to suit every taste and budget, from small and friendly cafés to centres of gastronomic excellence. For a small and friendly establishment, try De Bouro Restaurant. De Bouro Restaurant seats just 44 diners and serves house specialities such as cod au gratin with prawns and traditional fish stew in a modern, clean and elegantly furnished dining room. Other small establishments include Cozinha da Se Restaurant and Arcoense Restaurant. Cozinha da Se Restaurant recently earned its first listing in the coveted Michelin guide and is the brainchild of visionary owner and chef, Ricardo Pereira, who serves his own unique mix of contemporary and traditional Minho fare in an attractive and quirky dining room. Arcoense Restaurant is a more laidback establishment serving high-quality food at competitive prices. 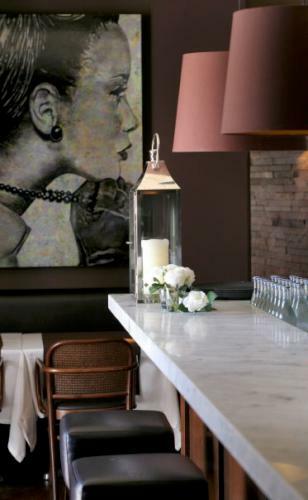 For a fusion of Italian and Portuguese cuisine, head for Sale e Dolce al Forno Restaurant. Sale e Dolce al Forno Restaurant is a relaxed and friendly eatery located in the heart of Braga’s historic centre on the fringes of Sao Paulo Square. 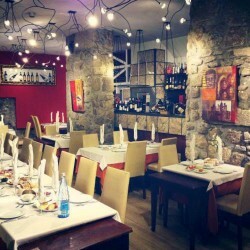 Popular with families, it serves up a mix of pizza, pasta and Minho specials to an appreciative clientele. 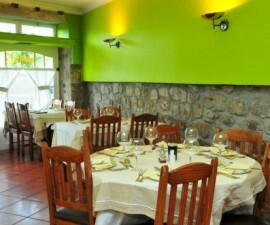 Paulo Padeiro Restaurant is the place to go for entertainment value. The owner, Paulo, is a larger-than-life character who entertains his guests with his irreverent commentary and humour. 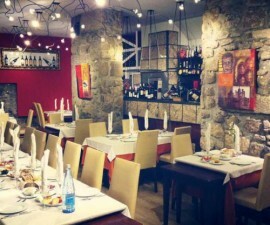 Paulo Padeiro Restaurant is located on a quiet street in central Braga, close to the new quarter. New kid on the block, Restaurant Centurium, is a welcome addition to the Braga restaurant scene and is a favourite especially during the summer months when diners can eat al fresco and enjoy the balmy evening weather. 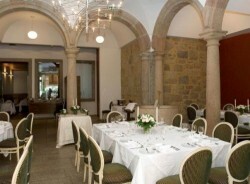 Centurium Restaurant is located in the pedestrianised area of the historic centre, inside the Bracara Augusta Hotel. 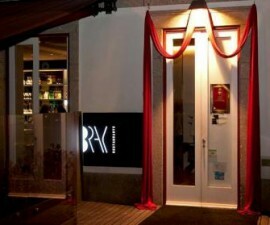 For the ultimate dining experience, why not head to Brac Restaurant. Brac Restaurant serves up modern regional cookery in an unbeatable location. In pride of place at the back of this grand dining room are the remains of a Roman house dating back some 2000 years, which have been excavated on the site. If any restaurant sums up all that Braga has to offer, it surely must be this one. Just to be safe, though, try different ones during your stay in Braga, Portugal.